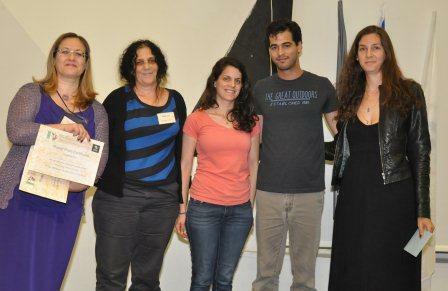 Hadas Zur - won the poster prize in memory of Eran Cohen z"l. Her poster was titled "Exploiting Regulatory Hidden Information Interleaved in the Redundancy of the Genetic Code without Prior Knowledge". 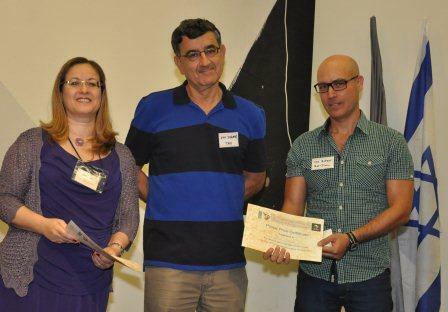 Alon Botzer - won one of the poster prizes donated by the Edmond J. Safra Center for Bioinformatics in Tel Aviv University. His poster was titled "What can we learn from a system view on hypertension?". 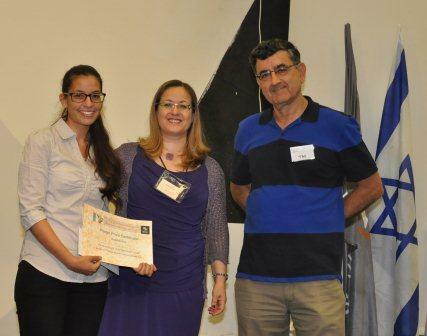 Miri Michaeli - won the other the poster prize donated by the Edmond J. Safra Center for Bioinformatics in Tel Aviv University. Her poster was titled "From gastritis to gastric lymphomas: Ig gene repertoire diversification and selection".